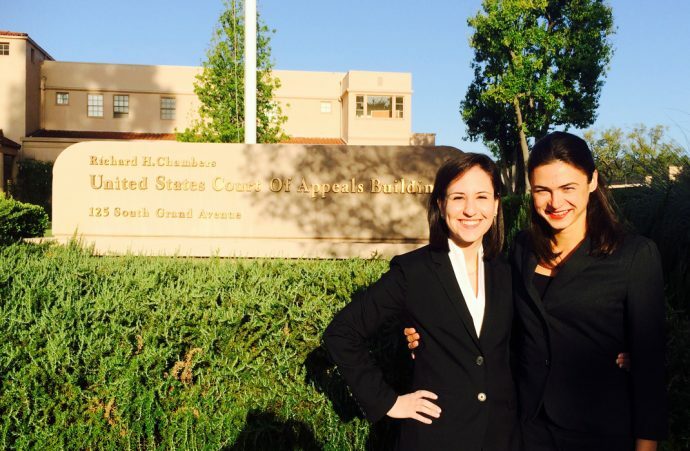 The Ninth Circuit Court of Appeals in California has ruled in favor of the client represented by BC Law students Shannon Johnson ’15 and Alejandra Salinas ’15, who argued before the court in April as part of the School’s Ninth Circuit Appellate Program (see earlier story). The client, an elderly, homeless woman from Bulgaria who had lived in the U.S. for 20 years, had been married to a U.S. citizen who had physically and mentally abused her. She was eligible to apply for a remedy, but was denied because her prior convictions for solicitation of prostitution were deemed crimes of moral turpitude. In a remarkable move, the three-judge panel retained jurisdiction over the case to hear it again if the BIA denied the claim. In the fall, Johnson will begin her work as one of BC’s Public Service Fellows, while Salinas will work as a clerk for the Hon. Judge Sidney Thomas in the Ninth Circuit. 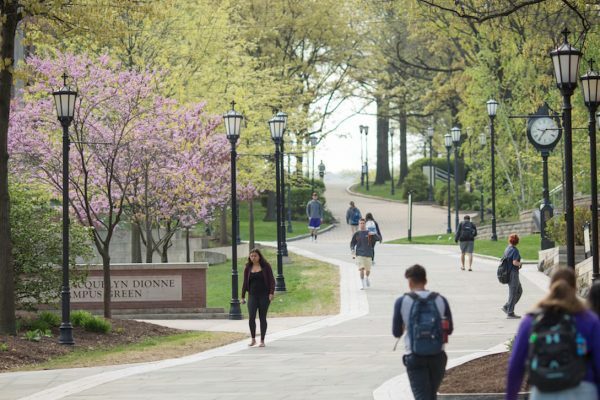 Professor Mary Holper, Professor Dan Kanstroom, research librarian Karen Breda, and BC Law Post-Deportation Project fellow Jessica Chicco served vital roles as formal and informal mentors to the students as they grappled with cutting-edge applications of immigration law. 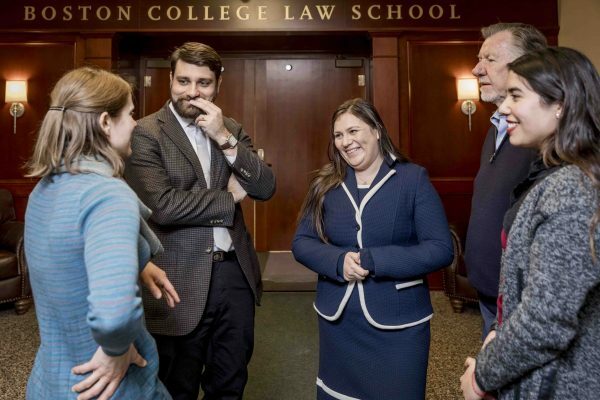 The students also benefitted from a number of Boston- and California-based immigration practitioners, who tested and reframed the arguments presented to the Court. 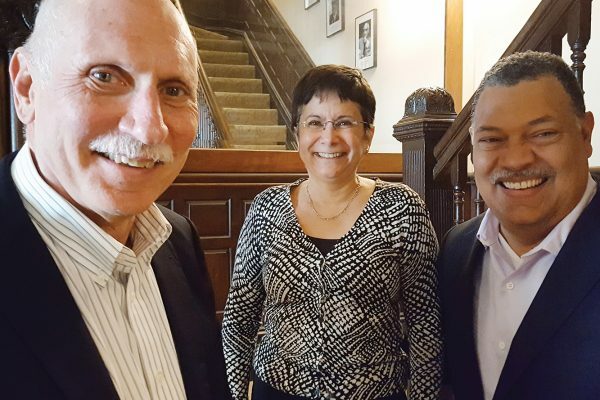 The Ninth Circuit Appellate Program is possible due to the Ninth Circuit’s highly unique program that permits law students to represent indigent immigrants who would otherwise be without representation. The Court screens and identifies compelling issues that would benefit from pro bono representation. BC is one of three law schools outside of the Ninth Circuit that participate in this program.